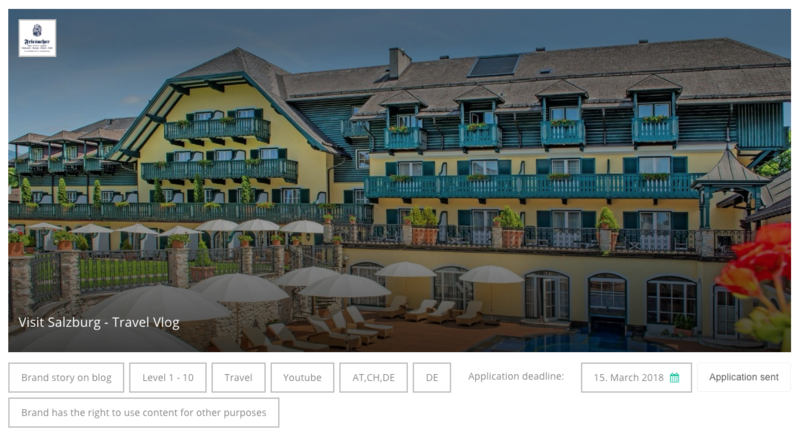 If the brand´s logo does not show up under "My Cooperations", the application did not go through as you might have forgotten one step in the application process. After the application deadline the brand gives feedback to your application by either approving or declining: Additionally an email goes out to you with specific feedback, why your application was declined or approved. 2. Before your posting goes online, make sure you have read the posting requirements to not miss out on any details which you accepted by applying for the cooperation. Find all infos under "My cooperations" next to the brand´s logo (> Show posting requirements in mintgreen). 4. Once uploaded, the brand will check your post and give a rating (1 to 5 stars) too. In case the post did not entirely fulfill the posting requirements, the brand will reach out to you via linkr chat. 5. In case this is a paid cooperation, the compensation will be transferred via linkr to your provided PayPal account (see paragraph 5 in the article) at the end of the month the cooperation took place.